Back in February of this year, I wrote an article concerning certain model year Ford Explorers and exhaust fumes leaking into the vehicles’ cabs. Ford Motor Company is keenly aware of this dangerous problem and is unable to fix this exhaust leak issue. The national media has recently reported on the Ford Explorer exhaust leak issue. This reporting is mostly due to the fact that police departments using Ford Explorers in their fleets have complained to Ford about the exhaust leak problem. There is also a video of a Ford Explorer police cruiser that leaves the road and crashes apparently due to officer driving the vehicle passing out as a result of exhaust fumes. Unfortunately, Ford Motor Company continues to misinform the public regarding this dangerous exhaust leak issue. In an article posted on the Fox News website, Ford’s chief engineer for the Ford Explorer says that Ford has not found this exhaust leak issue in non-police Ford Explorers. Ford’s chief engineer is either misinformed or is lying regarding this exhaust leak issue. Ford has issued at least two TSBs (technical service bulletins) regarding exhaust fumes leaking into Ford Explorer cabs. These TSB are strong evidence that Ford is aware of this exhaust leak issue. These TSBs are not limited to Ford Explorers used by police departments. Moreover, the NHTSA is investigating the exhaust leak issue in 2011 to 2017 model year Ford Explorers. This investigation is not limited to Ford Explorer police vehicles. My office has handled several cases in which my clients complained their Ford Explorers leaked exhaust fumes into the vehicles’ cabs. Specifically, these clients complained of, among other things, smelling exhaust fumes, being light headed and being dizzy while driving their Ford Explorers. None of these Ford Explorers were police cruisers. Until Ford comes up with a fix for this exhaust leak issue, drivers of these Ford Explorers will be putting themselves, passengers and other road users in extremely dangerous situations. 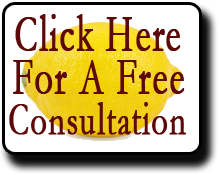 If you would like a free consultation regarding the California Lemon Law and how it may apply to your Ford Explorer or any other consumer product, please call us at (866) 360-6886, or e-mail us at info@davidjfarrell.com.